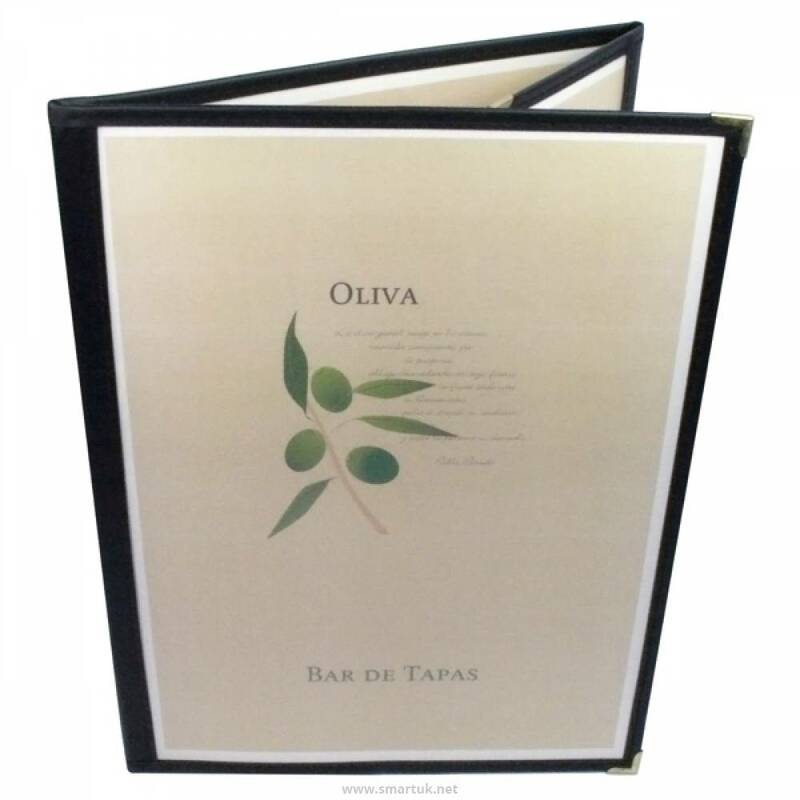 The Duo Menu Cover is made from either a non-reflecting, extremely strong, polypropylene or a luxury nylon for a more classic menu cover look. 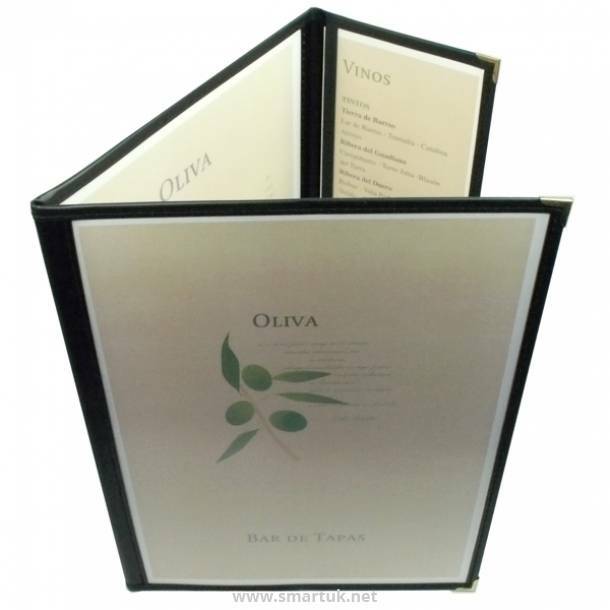 This quirky menu cover design shows 4 sides of A4 menu inserts and 2 sides at 12' tall x 4' wide. 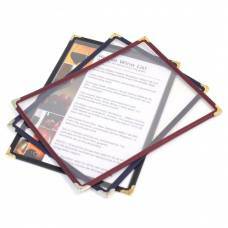 Stitching matches the polypropylene or nylon frame, which is available in 5 different colours. 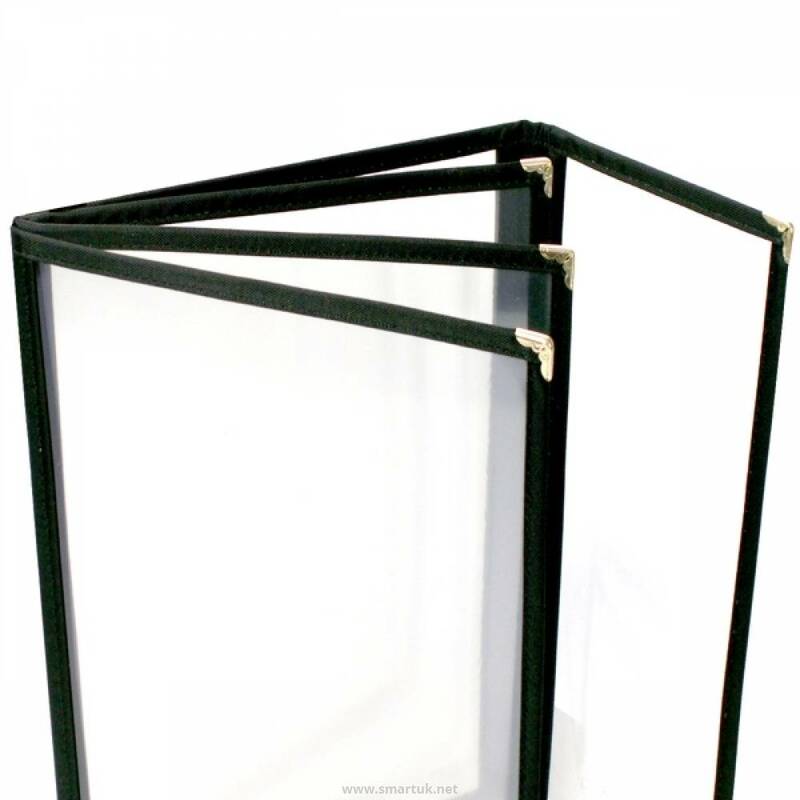 Gold or silver corners come as standard for corner protection. A superb menu cover for restaurants which constantly change their menu. Easy to clean, simple, and extremely stylish.